Online trading and investment is an amazing way to make money online, and with the right apps, anyone can do it. However, one of the most important aspects of online trading is being able to take advantage of a great opportunity, which could appear at any time. Time is money, as they always say, and in this case, so is timing. To be successful in online trading, it is crucial to be able to access your trading from anywhere, at any time, so as not to miss out on a great investment opportunity. This is where mobile trading apps come in. Below, we have listed the top 5 most trusted mobile trading apps for Android and given descriptions, so that you can find the best app for your mobile trading needs. TradeMonster is a real-time mobile trading app that allows its user to run up to four applications, including streaming quotes and spread analytics. It is claimed to be the industry’s first-ever complete trading app, and shows watch lists, account balances, charting, positions, and complex options spread functionality. The user can also view up to four live-streaming applications at once, and even save their own personalized widgets and layouts. 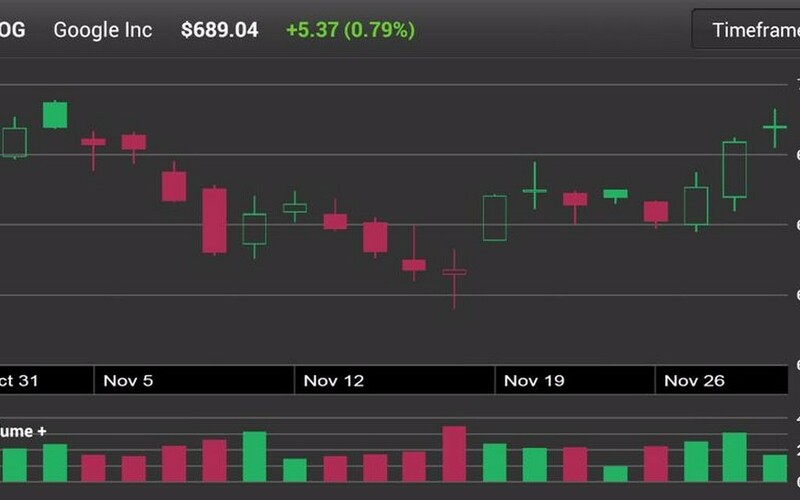 TradeMonster offers simple, web-like navigation, so it is easy to make the switch from a computer to the mobile trading app. 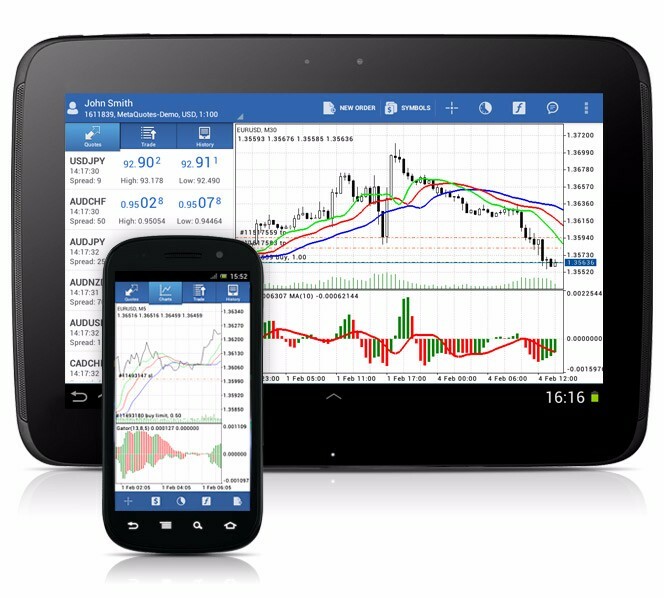 anyoption is great for trading and investing on-the-go, with features that make it easy for mobile users to navigate. Users can earn up to 81% profit per trade, and is usable in a way that anyone can trade and profit, with or without experience. Binary Options Mobile Trading enables customers to trade on hundreds of underlying assets from stock exchanges all over the world. It is available in multiple languages including English, Spanish, French, Italian, German, Russian, Japanese, Arabic, Portuguese, Swedish, and many more. The app is completely ad-free, provides free deposits and withdrawals, and can be easily synced with any option web account. 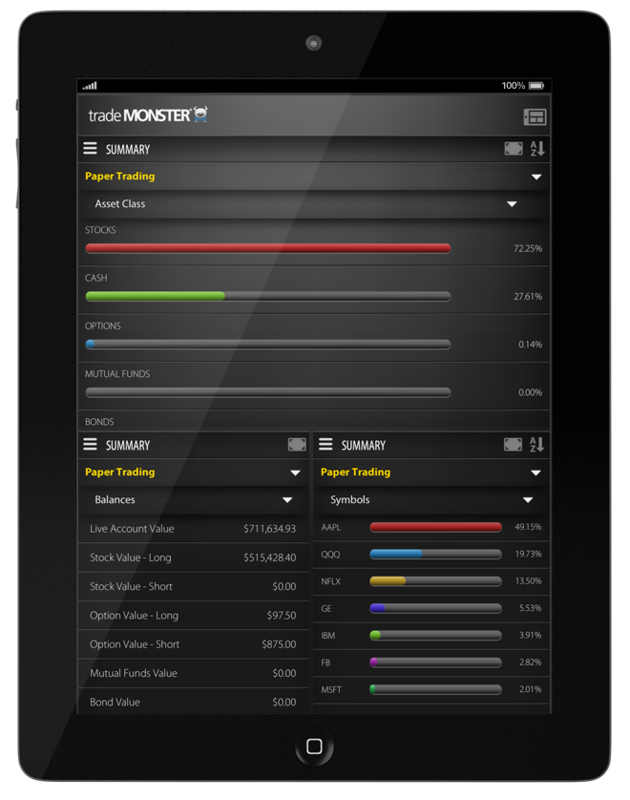 Like the apps above TradeKing is easy to use and can be used anywhere at any time. Get real-time updates on balances and portfolios, use advanced charts and option chains, get custom alerts, and just shake your phone to refresh any screen. 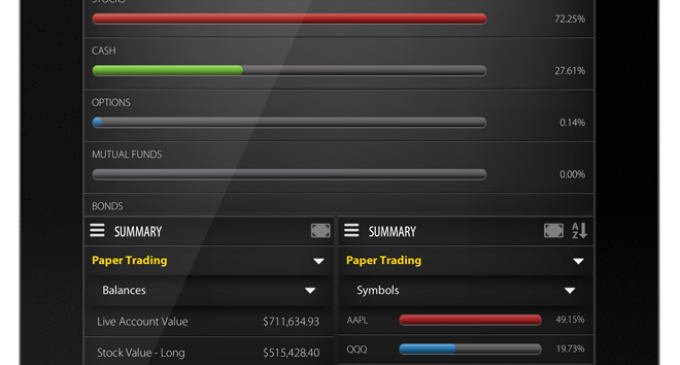 Get the latest stock and option quotes, and check account activity, balances, and holdings. This mobile trading app is very secure, using the same encryption levels for their mobile app as they use for their main site. It also includes useful educational resources for users. eTrade allows users to receive stock and account notifications, learn market trends, check account balances, and track personal investments. It can be synced with a desktop account, and has a nifty feature where you can snap a simple picture to electronically deposit a check. It may not have the cheapest trades, but it is still considered industry-leading and includes a customizable dashboard. One of the most popular Forex trading platforms, MetaTrader offers real-time quotes, full set of trade orders (including those pending), over 1000 servers, and real-time interactive charts you can scroll through and zoom in and out. It is fairly convenient, with a user-friendly interface, minimum traffic, and an offline mode. However, it should be noted that MetaTrader does not have a direct, live support system available to its users. This list provides you with only a few of the many mobile trading apps available to those who want to access their online trading and investments. There are other apps available to help you as well, including Stock Trainer: Virtual Trading, which allows you to practice your online, mobile trading before moving to live, legitimate trading. The app uses real market data, giving you the closest-to-real-life results possible. After honing your skills with this app, upgrade to one of the five apps above to have the most successful, convenient trading experience possible.